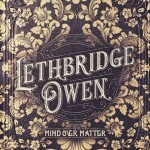 Share the post "Album review: LETHBRIDGE OWEN – Mind Over Matter"
Lethbridge Owen are about to make significant splash. The musical pairing of vocalist /guitarist/songwriter Kelly Lethbridge and guitarist/vocalist/songwriter Jimmy Owen may sound like an estate agent, but they are in fact a hugely talented West Coast influenced duo who lead a magnificent band into a mighty impressive debut album. ‘Mind Over Matter’ is an accessible old school crossover album with contemporary production values, underpinned by uplifting melodies and soaring hooks. It’s old school project in the way that it coherently flows from beginning to end, meaning the album has a unique composite feel. And in an age of instant downloads they are bravely going against the grain. That said, the material is so strong that it also lends itself to at least a batch of potential singles, including the lead track ‘All We Have Is Hope’. Put simply, Lethbridge Owen are arguably what ‘The Rumours’ line-up of Fleetwood Mac could have been if they hadn’t imploded. And while the Lethbridge Owen duo is the creative force that gives the band its mellifluous harmonies, subtle textures, bristling solos and songs, the band members colour the arrangements imaginatively, from the percussive pushes to the breathless ensemble playing. It’s the quality of the songs that gives the album its substance. Scratch immediately below the surface of some commercially accessible songs and you find layers of sonic detail and musical depth. The album opens with the glistening harmonies of the single ’All We Have Is Hope’, which is cleverly reprised as an acoustic booked-end. It’s a song with an uplifting melody that cleverly evokes the title. Kelly Lethbridge’s immaculate phrasing and clarity of diction glides above a wonderful musical sweep punctuated by Jimmy’s nuanced guitar. Lethbridge is equally good when she emulates Stevie Nicks on ‘Taking Over Me’, before Owen adds a significant guitar line. She’s even better on as on the radio friendly ‘Two Steps Forward’, which has big sonic presence that frames a distant lap steel and Owen’s incendiary solo over some bright percussion. If Kelly provides the sheen and polish, Jimmy provides the bite and detail. He opts for a more muscular approach on the funky opening of ‘Back To The Blue’, with it’s big wall of sound that flows into the resolving refrain, before an unexpected gnawing sawtooth solo from Jimmy. He also provides a Lindsey Buckingham style lead vocal on ‘World’s Burned Over’, which is a melange of chiming guitars and crisp percussion on a great duet with an enveloping hook. His guitar tones magically conjoin Eric Johnson and Sonny Landreth influences, while his pristine notes help shape a perfectly built solo that combines feel and real emotion with effortless technique. It’s moments like this when the whole band coalesces seamlessly that you know they really are on to something special. And if the Fleetwood Mac influenced ‘Re-Inspire’ is broaches middle of the road, the jangling guitar and violin combination on ‘Leaving Home’ levers us into sumptuous double-tracked harmony vocals on an infectious hook with a killer mini guitar break. The Tom Petty influenced ‘Fight For You’ redresses the balance and will surely bring them a potentially big audience, as a combination of subtle harmonies and Owen’s quiet-to-loud guitar solo gives the song a belated uplifting finish. ‘Taking Over Me’ marks a return to Steve Nicks territory on the perfect meeting of breathless phrasing and a stellar chiming guitar line. It’s worth restating that Lethbridge Owen is a band whose mix of harmonies, guitar tones, subtle grooves, intricate interplay and tight arrangements make for an instantly accessible album. Kelly’s voice leads us into a succession of songs that sound as if they were written with a West Coast genre in mind, Jimmy’s notes fills the canvas with tonal sensibility and the duo soar on a succession of folk/rock choruses. By the time of the aforementioned defining duet ‘World Burned Over’, you feel like you are at the end of an exhilarating musical journey that you can’t wait to repeat. The duo occasionally sing bleak lyrics such as: ” The world’s burned over, And I cannot breath, the world’s burned over, I cannot believe what I see,” but in sharp contrast to the sentiment of the song, this album is full of West Coast musical sunshine and optimism. What we hear as Lethbridge and Owen lean into one final groove is organic magic. All the poise and restraint finally gives way to a serious jammed out finish which reveals the true depth of their musical oeuvre, before a return to their trademark harmony vocals. This entry was posted in ALBUM REVIEWS, ALBUM REVIEWS (Mobile), All Posts and tagged album, Eric Johnson, Fleetwood Mac, folk, guitar, harmonies, interview, Jimmy Owen, Kelly Lethbridge, Lethbridge Owen, Lindsey Buckingham, Mind Over Matter, radio, review, rock, Sonny Landreth, Stevie Nicks, Tom Petty, West Coast. Bookmark the permalink.